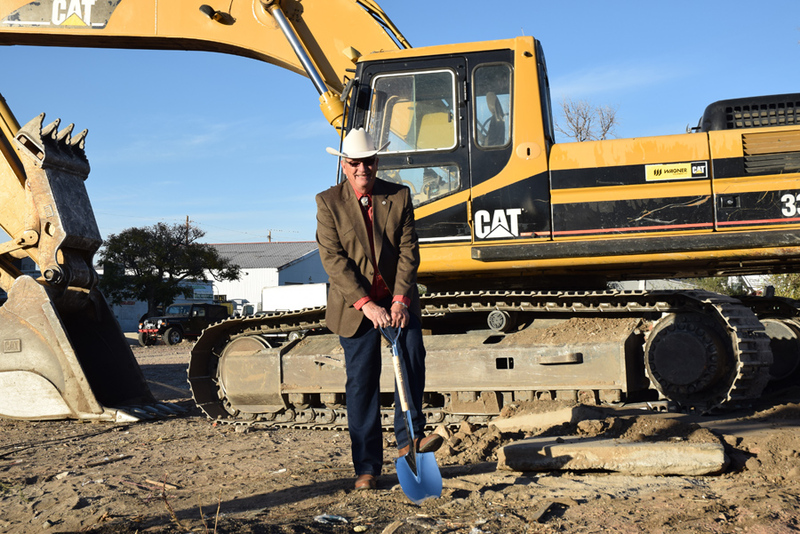 It’s hard to imagine that two weeks have passed since we broke ground on Catalyst HTI. The faces of the clinicians, entrepreneurs, technologists, executives, academics, investors, and policy-makers who attended the groundbreaking ceremony are still so clear in my mind that it feels like it happened only yesterday. I can still hear the excitement in their voices as they talked about their hopes for the building, can still sense the anticipation hanging in the air as my team and I prepared to announce that, after more than two years of hard work, the construction of Catalyst HTI would begin. 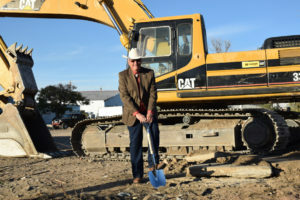 Watching Larry Burgess break ground on Catalyst HTI was one of the proudest moments of my life. The night before, I had stood in front of an audience of hundreds at the 2016 Prime Health Challenge, and had listened to Jeffrey Nathanson, Prime Health’s CEO, explain why Colorado’s health innovation community was the best in the nation. We had just watched six health-tech startups pitch to a panel of 16 healthcare providers, with each early stage company doing their best to convince the members of the panel to pilot their innovation. The startups had been selected according to a rigorous, three-month-long vetting process known as Prime Health Qualify, which annually convenes dozens of clinicians, entrepreneurs, and investors to assess new digital health technologies. After having watched the startups pitch their innovations to the panel, and while listening to Jeffrey describe the strengths of our thriving statewide health innovation community to an audience of more than 600 clinicians, executives, and technologists, I realized something. Our community was everything. Without the broad range of individuals and organizations that had come together over the past few years to drive health innovation in Colorado, the success of initiatives like 10.10.10 Health, Prime Health, and the upcoming Startup Health Colorado would never have been possible. 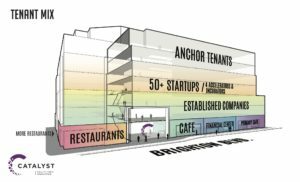 When it opens in early 2018, Catalyst HTI will be a 180,000 square foot health-tech industry integrator. The same was true about Catalyst HTI. Without the support of our community, we never would have made it this far. They understood that there was a very clear need to integrate the healthcare industry at the point of innovation. They recognized that if we truly wanted to fix our broken healthcare system, we would have to bring providers and payers together with startups and tech companies to accelerate the development of new ideas, new processes, and new technologies. During the reception after the groundbreaking, while talking with several of the guests who had come to witness the start of Catalyst HTI, I began to see where this movement was headed. By bringing together the diverse members of our community, Catalyst HTI would provide each of them with the opportunity to figure out exactly where they fit in the development and delivery of health innovation. By focusing on the healthcare industry, Catalyst HTI would avoid the hodgepodge feel of most incubators, accelerators, and co-working spaces, allowing its tenants to gain a clear picture of the healthcare system’s unique terrain, while enabling them to navigate it together. 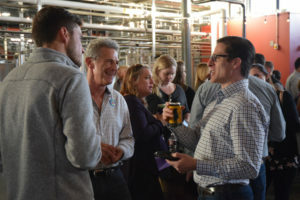 Hundreds of healthcare providers and innovators attended the groundbreaking reception at Great Divide Brewery. This willingness to collaborate is important. It’s what’s allowed all of us to come together like we have. It’s made projects like 10.10.10 Health, Prime Health, and Startup Health Colorado possible. It’s the reason why we’re building Catalyst HTI. And the more we collaborate, working side by side to reimagine healthcare, the more sophisticated our interactions will become, until we achieve a comprehensive understanding of the best ways to work together to achieve our goal, the creation of a healthcare system that’s more accessible, more efficient, and more affordable. In the process, we may very well leave behind the hodgepodge of the current innovation economy, exchanging it for a more regular, more formalized, and more productive innovation industry. But it’s only going to happen together. Remember, whether you’re an executive at a Fortune 500 company, or the founder of a single-person startup, if you’re passionate about reimagining healthcare, you have a seat at our table!